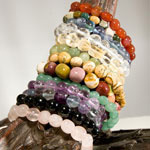 A 2 tier display of nugget bracelets in assorted stone types. 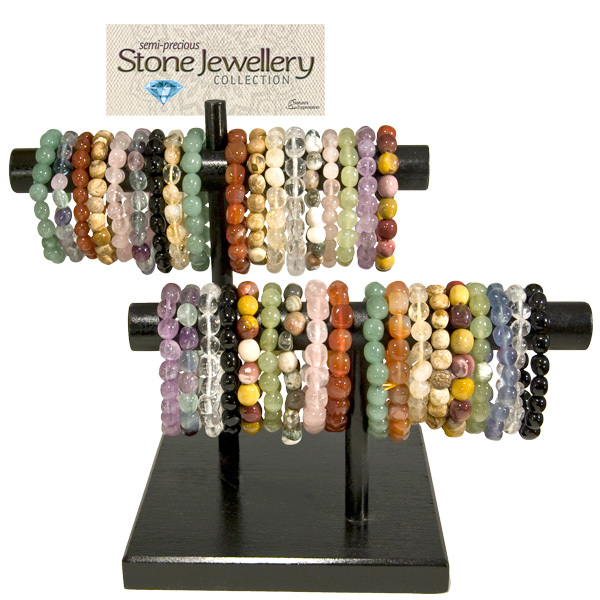 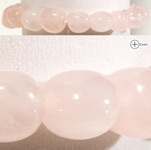 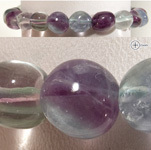 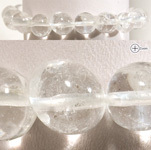 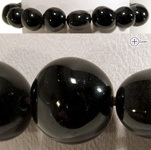 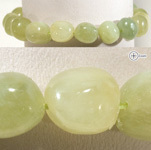 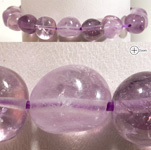 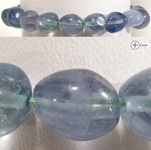 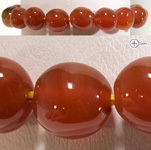 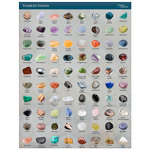 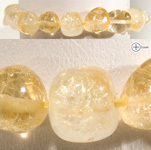 Medium rounded semi-precious stones are highly polished and made into fashionable, stretchable bracelets. 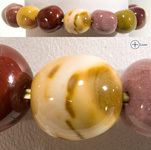 Easy to mix and match!